Located on the Southern Caribbean island of Curacao, Pinnacle Sports (or just Pinnacle) was launched online in 1998 and thanks to their many draw cards they quickly became one of the worlds most popular online sportbooks. 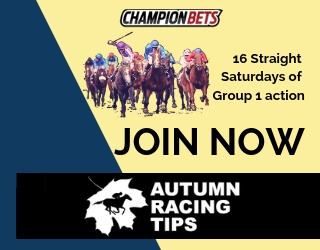 With a unique and gimmick free approach towards bookmaking they simply offer the best odds and highest bet limits whilst welcoming all bettors including professional and arbitrage punters. 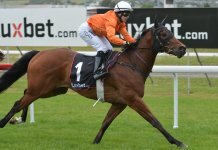 They provide betting markets across a solid range of internationally played sports with a strong focus on the North American region as well as covering the main betting markets for all top-line Australian sports. And because of their location and licensing they are able to provide live online betting to their Australian clients. Today they service customers in over 100 countries and are one of the most reputable and respected sportbooks within the online gambling industry. They truly are world leaders in many bookmaking aspects and serious punters will find what they have to offer is incredibly hard to beat. 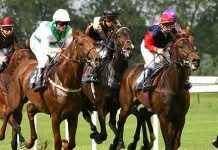 Exceptional Betting Odds ~ Pinnacles betting odds are genuinely the best available online. Winners Are Welcome ~ Unlike the vast majority of online sportsbooks successful punters will always have their bets accepted at Pinnacle. High Bet Limits ~ Their betting limits are said to be the highest available online and they are always clearly stated when you place a bet. Arbitrage betting allowed ~ They allow arbitrage betting and because they offer the best odds and highest limits any would-be Arber will need a Pinnacle account. Customer Service Options ~ Pinnacle provides customer support via email only. There is no phone number available in case you need any information or want to query something in person. No Racing Available ~ Unfortunately they don’t (at this stage) cover gambling on Thoroughbred, Harness or Greyhound racing. So if you enjoy having a punt on the races you will need a separate account with someone else. 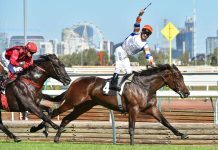 No Promotions ~ Pinnacle do not offer a new customer bonus or any regular promotions, and although i certainly agree that providing the best odds and highest limits while accepting bets from all punters far outweighs some small weekly promotion, these features are primarily aimed at bigger bettors. So if you are a casual punter who enjoys having a small bet on the Friday night Footy or Saturday racing and regular promotions are important to you, you may be better off elsewhere. 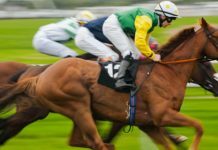 Limited Aussie Markets ~ They do offer betting on the top-line Aussie sports, however, their range of markets are quite limited compared to some of the Australian based operators. Withdrawal Fees ~ Clients are entitled to just one free withdrawal per calender month, all additional withdrawals will attract a fee of $25 USD. Pinnacle has a very different outlook on bonuses and promotions, in-fact they offer no new customer bonus or regular promotions such as; Bonus bets, multi-bet bonuses, extra winnings or money back specials. Instead they take a gimmick free approach to bookmaking, believing that what they do offer – The best odds, highest limits, accepting large bets, welcoming successful punters and allowing arbitrage betting while providing a solid range of international markets, is in itself a much better bonus that what any other corporate sportsbook can provide, and for the most part i tend to agree. Serious punters who bet in large amounts will have great difficulty finding a better deal than what Pinnacle have to offer, however, there is a downside. Those casual punters who place a lot importance on receiving regular bonuses and promotions will simply miss out. In short, big bettors (successful or not) will get an unbeatable deal while casual punters may be better off elsewhere. Exceptional Betting Odds ~ Pinnacle are able to offer the best betting odds because they have a low bookmaker margin, this margin is the bookies share and it exists on all betting markets. Also known as the “take” “vigorish” or “juice” it usually varies from 3%-11% with the industry average being 6%. Pinnacles bookmaker margin is about 2% which equates to odds of $1.96 being available on both teams in a Head-to-Head match. These odds are currently unrivalled by any other online sportsbook. Winners Are Welcome ~ Pinnacle takes a unique approach towards winning bettors. Their theory is that by accepting wagers from successful punters it assists them in shaping their markets and sharpening their odds. This is wonderful theory for serious punters. High, Clear Limits ~ Their betting limits vary between sports and bet types, but overall they are some of the highest limits available online. Plus when you choose a market to bet on a small window pops out clearly highlighting the maximum bet amounts which can be very helpful. Bet Customisation ~ For many sports including; Tennis, NFL and Basketball, Pinnacle allows members to customise their bets by buying/selling points, for/against a team or player, with the odds increasing or decreasing accordingly (similar to picking your own line, totals or margins). 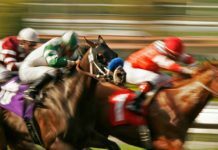 Dynamic Odds ~ This is an exclusive facility that enables you to track the movement of betting lines in relation to where the money is being wagered. It allows a very handy insight into the market which has the potential to provide punters a betting edge. Overseas Betting Markets ~ Pinnacle offer an excellent range of betting markets across international sports, especially throughout the North American region. These sports include; Baseball, Basketball, Cycling, Motor Sport, Athletics, Snooker, Golf, Darts, Boxing, Mixed Martial Arts and much more. Betting Articles ~ A range of useful and interesting betting articles are available on the website. 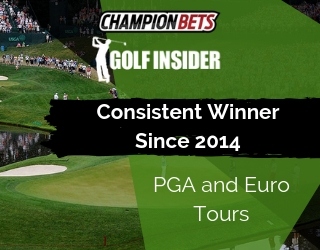 These articles cover news, analysis, previews, reviews, betting strategies and tips on both recent and upcoming events. Arbitrage Betting Ok ~ Yes arbitrage betting is allowed, but be aware it can be very complicated and contains high risks. Your bets may be rejected elsewhere or worse, you could run out of time to get all of your bets on and be left exposed. Multiple Website Layouts ~ You are able to change the layout and language of the website to suit you needs. The website can be set-up in 20 separate languages while the interface can be changed between a few different layouts. It has an old school appeal and overall the site is quite different from the other online sportsbooks. Odds go to three decimal places and being an overseas operator you will find some different terminology being used including; “1×2” instead of “Win-Draw-Win” and “Money Line” instead of “Head-to-Head” but there is a glossary available to assist you with the terms and once you know your way around it becomes a very basic system to navigate. It contains some great features like “Dynamic Lines” which allows you to follow the movements of betting lines plus the maximum bet amounts pop out whenever you place a bet which can be very helpful. And because they are located in Curacao and licensed in the Netherlands you can bet directly on live in-play markets which offers a real advantage. On the downside the customer support options are poor with no live online chat or even a phone number a call if you have any problems, however, you can contact Pinnacle 24/7 via email and the service has reputation of responding both swiftly and professionally. Pinnacle doesn’t have an actual App but a mobile betting solution does exist meaning you will visit the mobile site automatically when you login via a Tablet or Smart Phone. The mobile site is basically identical to the main site, only smaller, and although it’s supposed to be missing some of the features i haven’t found any yet. You can still change the layout, live in-play betting is still available and of course all of the odds and bet limits are exactly the same. It works great, maybe touch slower but overall it’s a great option for mobile betting. Deposit Options ~ Credit Card, Bank Transfer, Entropay, iDebit, Skrill, NETELLER, POLi Withdrawal Options ~ Credit Card, Bank Transfer, Entropay, iDebit, Skrill, NETELLER Minimum Deposit ~ Equivalent to $25 USD Minimum Bet ~ Equivalent to $1 USD Maximum Payout ~ Payout limits will depend on the bet limits which are very high. Live Betting ~ Live in-play betting is available online. Mobile Betting ~ No official App but the mobile site is available on Tablets and Smart Phones. Click here to open a Pinnacle Sports account.